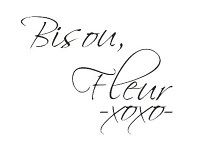 La Vie Fleurit: My Closet; Today I went Shopping! My Closet; Today I went Shopping! Oké so I already mentioned in the header that I went shopping today! The only problem with having a new job and all, is that I hadn't been able to go to the city for quit some time. You probably get the result; I literally had to pay the price and I only made it to ZARA and H&M, before I run out of money. However the outcome was stunning so take a look at what I bought!